Orphans of the Storm® dogs are always good dogs, but they’re even better on Good Friday! The shelter will be closed on Sunday for Easter, but you can visit today or tomorrow and welcome a new family member home for the holidays! Heaven the two-year-old Jack Russell Terrier mix is a little cutie who loves to be with people. She was a little nervous when we first got outside and would duck her head a little when I pet her, but by the end of our visit she was happily putting her paws in my lap so we could snuggle some more. She also rolled over for a couple of belly rubs. It looks like Heaven might have had a bit of a rough start, based on the spots on her nose, but she’s more than ready to turn a new leaf. Heaven was previously adopted but returned for being “too active.” It’s important to research different breeds before bringing one into your home, because Jack Russells (and Terriers in general) are known for being active and like to be kept busy, whether it’s with obedience training or agility or just taking long walks. Heaven certainly enjoyed being outside and liked romping around, so she’ll do best with a family that is already active or looking for some new activities. If you’re looking for a fun little companion, come in soon to meet Heaven! Bianca the nine-month-old Hound/Labrador Retriever mix is pretty well-behaved for a puppy. She walked nicely as we made our way to the off-leash run and was very mellow even after she was free to roam. She enjoyed exploring behind the bushes and politely sniffed the dog on the other side of the fence. Bianca kept to herself at first but soon realized that I was there to give her attention, which she happily accepted in the form of scratches under the chin and behind her ears. She even said “thank you” with a quick doggy kiss. Bianca is a cute girl who probably won’t get much bigger than she currently is, which makes her a great size for both cuddling and playing. 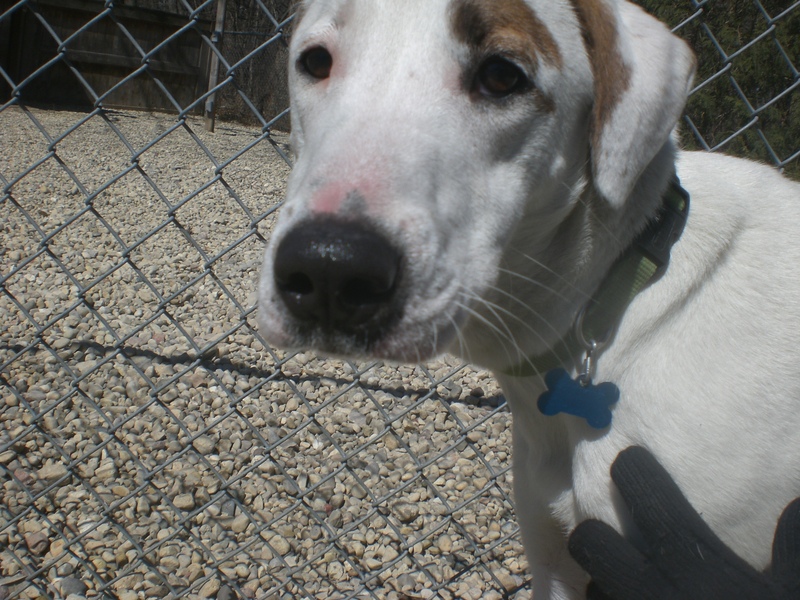 Stop by soon to see if Bianca is the puppy for you! Spooky the one-year-old Staffordshire Bull Terrier mix is the absolute antithesis of his name–a more accurate name would be something like “Happy” or “Friendly,” because that’s what he really is! 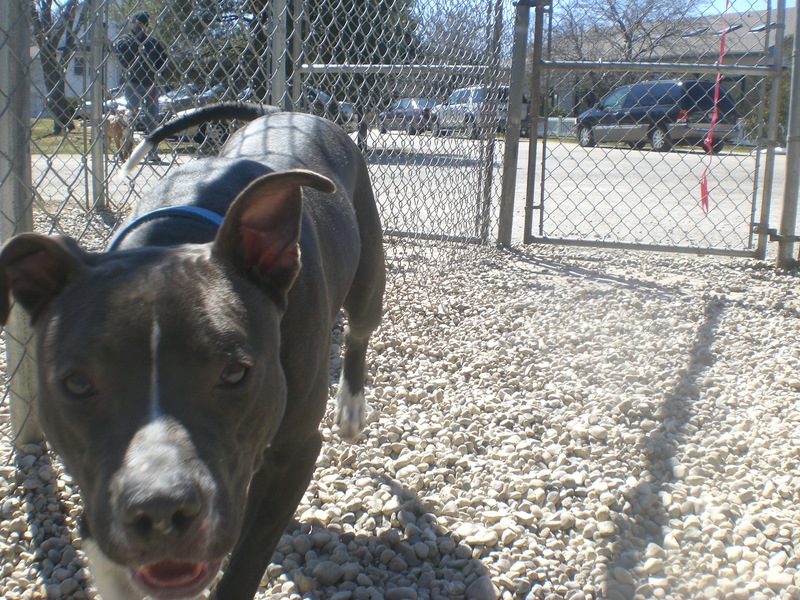 Spooky greets everyone with a wagging tail and will happily give you a doggy hug and kiss if he gets the opportunity. Whenever I knelt down to his level, he came hurrying over to cuddle. Spooky is a playful young pup. He had a fun time racing Jarvis (also known as Cooper now), who was in the off-leash run next to ours. 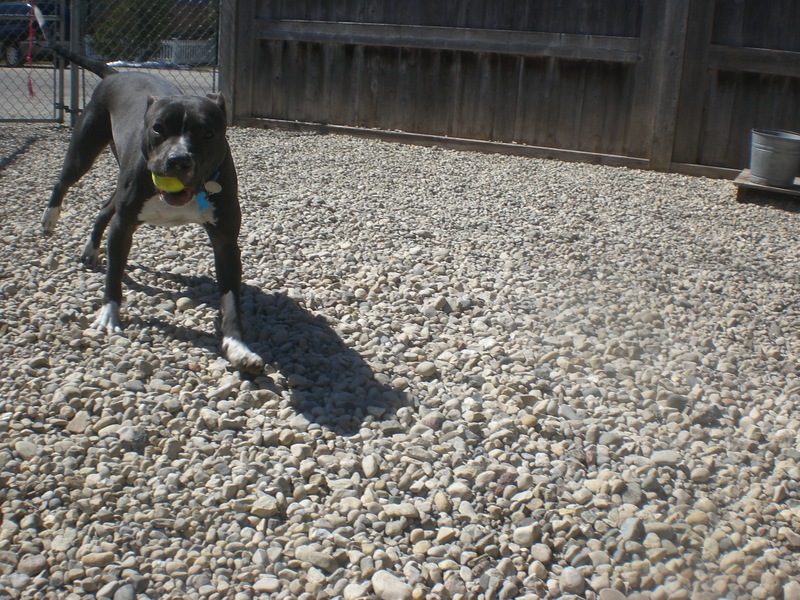 He also discovered a tennis ball and loved carrying it around. He was pretty good at playing fetch, too. A dog as happy as Spooky is sure to make his future owners just as happy. Stop by the shelter soon to say hi to Spooky! 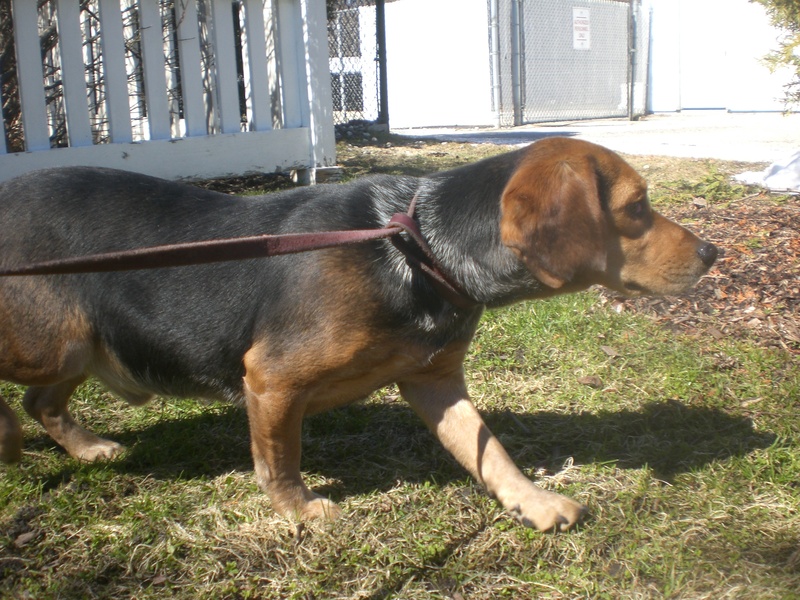 Arnold the three-year-old Beagle mix is super adorable. I’ve heard more than one “aww” come out of people’s mouths when they stop by his kennel. 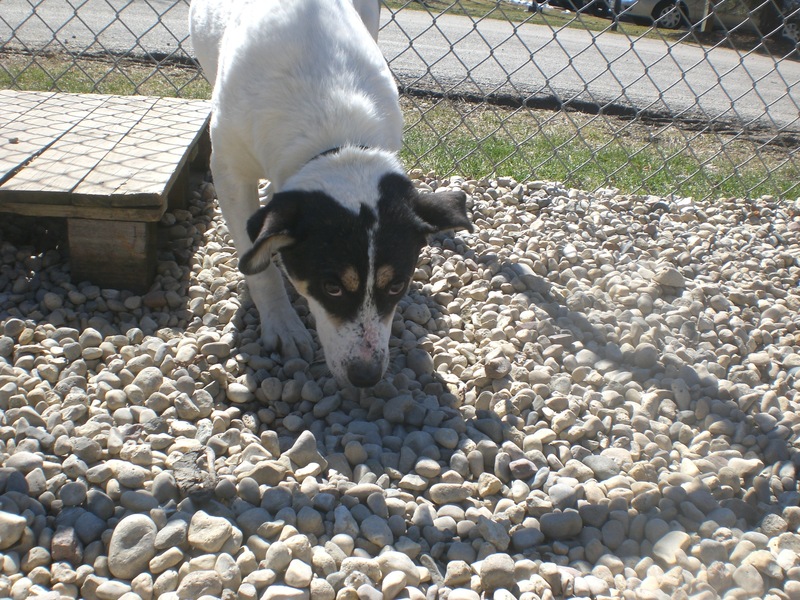 Arnold is a very shy dog, though, and needs some time to warm up to new people. I was going to walk him last week but he wasn’t too sure about the leash–though when I held it out for him to sniff, he took it and used it as a chew toy. Silly pup! 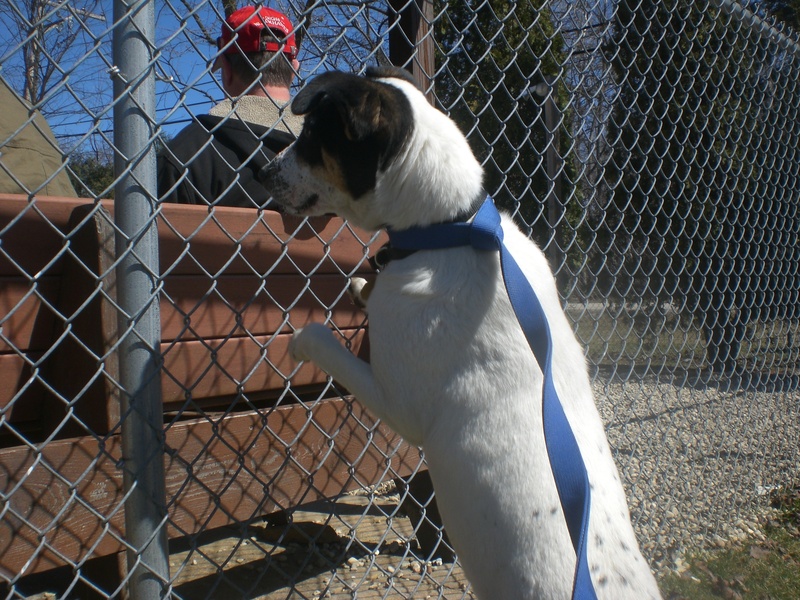 Arnold is currently sharing his kennel with another Beagle mix (who is even more shy), so he could go to a home with or without another dog. Arnold was more willing to walk on the leash this week, though, so we took a nice walk. 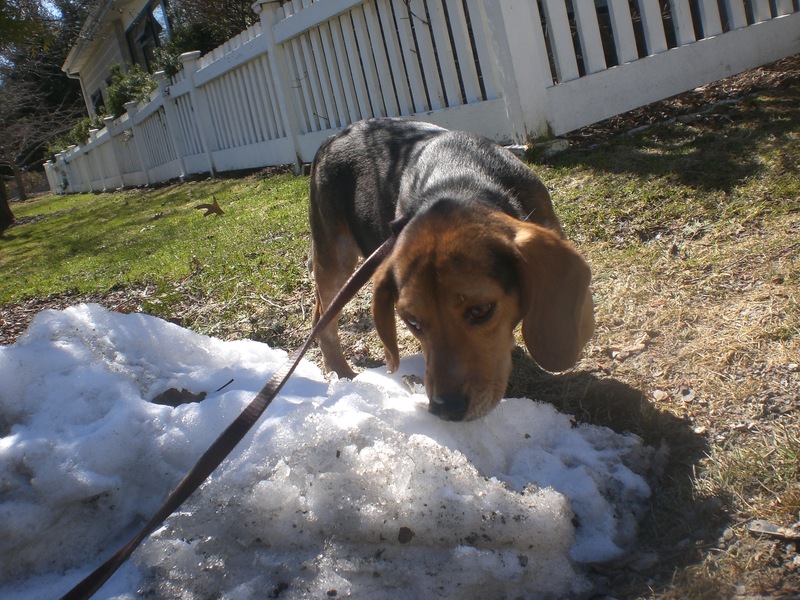 Being a Beagle mix, Arnold mostly kept his nose to the ground and liked to give everything a good sniff before moving on. Arnold would probably prefer to be in a calmer, quieter home with owners who will help him come out of his shell and become the best companion he can be. 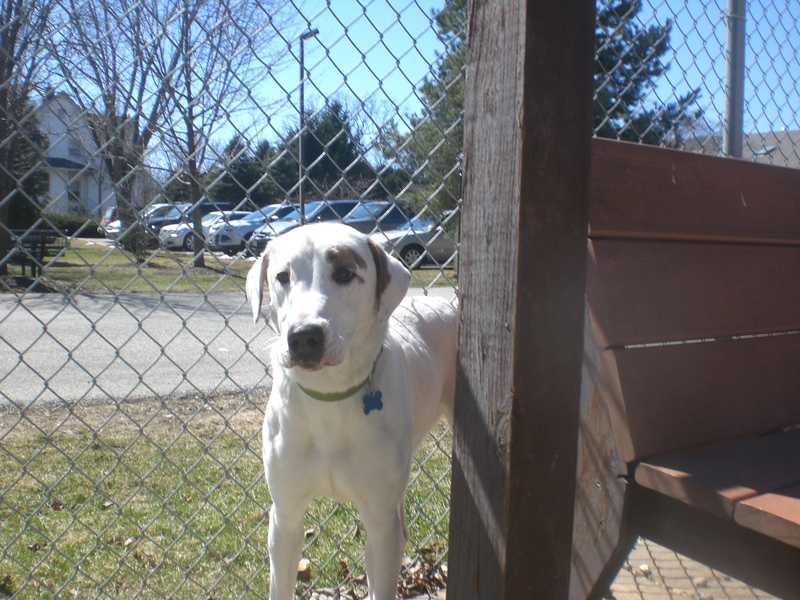 On your next visit to the shelter, be sure to say hi to Arnold! 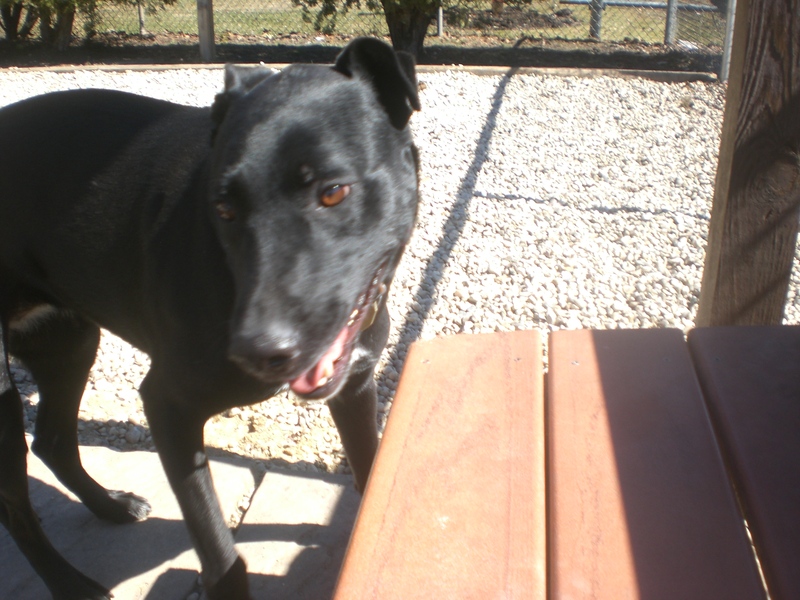 Jasmine the four-year-old black Labrador Retriever mix is a sweet, well-behaved girl. She’s also a very affectionate girl who quickly joined me when I sat down on the bench in the off-leash run and gave me lots of doggy kisses. Jasmine likes to be with her people–so much so that she would prefer to go to a home where at least one person is around most of the time (i.e. works from home, or retired). Jasmine also gets along well with other dogs. She’s currently sharing her kennel with Hachi (who is another super affectionate pooch), so she could go to a home with or without another dog, especially since she enjoys having company! 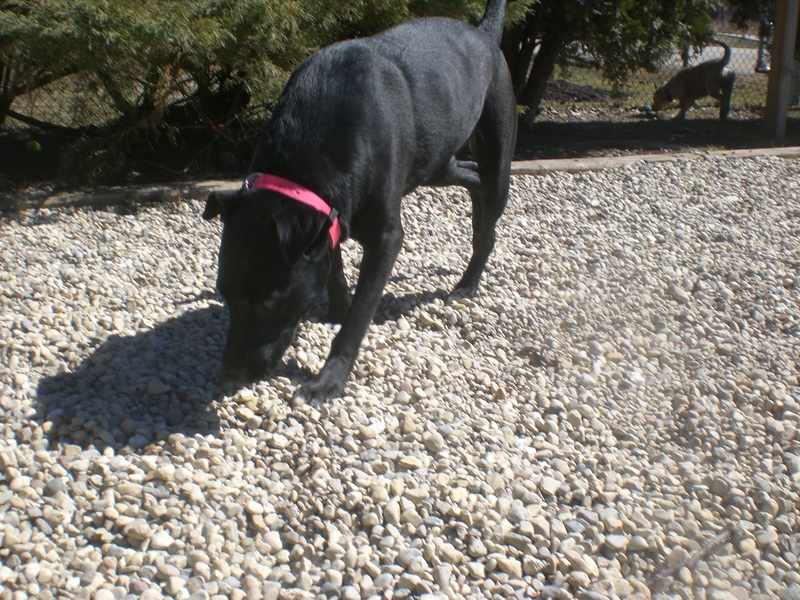 Labs are known for being loyal companions, and Jasmine is a great example of that. Come by the shelter soon to meet Jasmine! I also saw Cooper, Blush, Winter, Tucker, and Trixie. Posted by Meet the Pooches on April 3, 2015 in Dog Profiles and tagged adoption, animal shelter, animals, Beagle, Chicago, dogs, Hound, Jack Russell Terrier, Labrador Retriever, Orphans of the Storm, pets, Staffordshire Bull Terrier.